We are among the prominent manufacturers and supplier of the optimum quality of Jute Products. 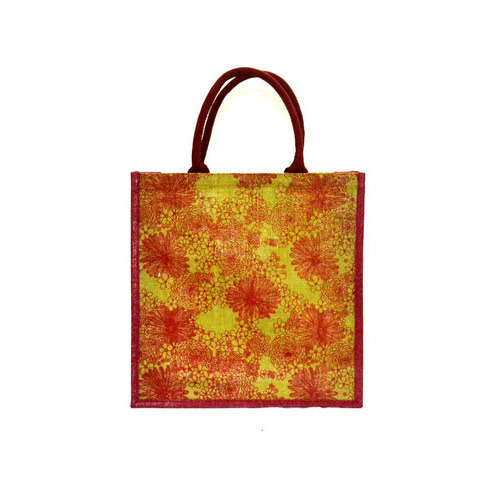 Owing to their smooth texture, attractive appearance and environmental friendly design, these bags are highly demanded. We are one of the prominent manufacturers and supplier of an extensive range of jute products, designer bags, jute pouch bag, jute picnic bags, jute bags, jute handle bag, shopping jute bag, floral print jute bag, printed jute bag, jute shopping bags, jute accessories and jute hessian. Our entire range is designed using quality jute and is at par with the international standards. These jute products are available in both standard and customized finishes as per the requirements of our clients.